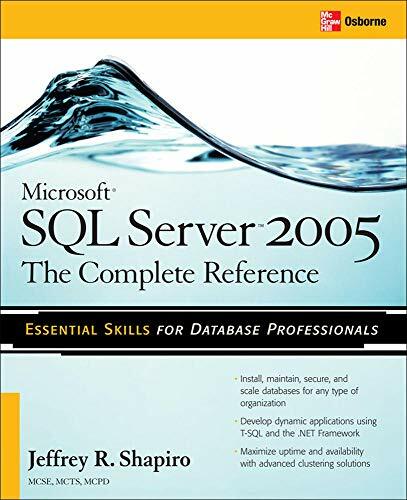 Learn how SQL Server Management Studio works in this excerpt from the book SQL Server 2005: A Beginner's Guide. The first two administration tasks can be done using the Registered Servers component; for the other tasks, you use Object Explorer. NOTE: With SQL Server Management Studio, you can manage objects of Database Engine, Analysis Services, Reporting Services, and Integration Services. In this chapter we will demonstrate the use of Management Studio concerning only Database Engine. SQL Server Management Studio also separates the registering of a server and connecting to a server. This means that registering a server does not automatically connect you to the server. To connect to a server from the Registered Servers window, right-click the server, choose Connect, and then New Query. You can also connect to a server from the Object Explorer window if you right-click the server name and choose Connect. There are two ways to create server groups. In the Registered Servers window, right-click Database Engine, choose New, and select Server Registration. In the New Server Group dialog box, enter a (unique) name and select an existing location for the group. You can also create a server group after connecting to a server. In this case, right-click a server in the Registered Servers window, select New, and click Server Group. SQL Server Management Studio allows you to administer multiple database engines (called instances) on one computer using the Object Explorer component of SQL Server Management Studio. Each instance of SQL Server has its own set of database objects (system and user databases) that are not shared between different instances. The installation and management of SQL Server instances will be discussed in detail in Chapters 16 and 17. To manage a server and its configuration, right-click the server name in Object Explorer and choose Properties (see Figure 2-4). The Server Properties dialog box contains several different options, like Permissions and Security. The Permissions dialog box shows all logins and roles that can access the server. The lower part of the dialog box shows all permissions that can be granted to the logins and roles. The Security dialog box contains the information concerning the authentication mode of the server and the login auditing mode. You can replace the existing server name with a new name. Right-click the server in the Object Explorer window and choose Register. Now you can rename the server in the Register Server dialog box. SQL Server can be started automatically each time the Windows operating system starts or by using SQL Server Management Studio. In the Object Explorer window, right-click the selected server and click Start in the pull-down menu. The pull-down menu also contains the corresponding Stop function that stops the activated server. The additional Pause function pauses the whole system, which means that new users are not allowed to log into the system.